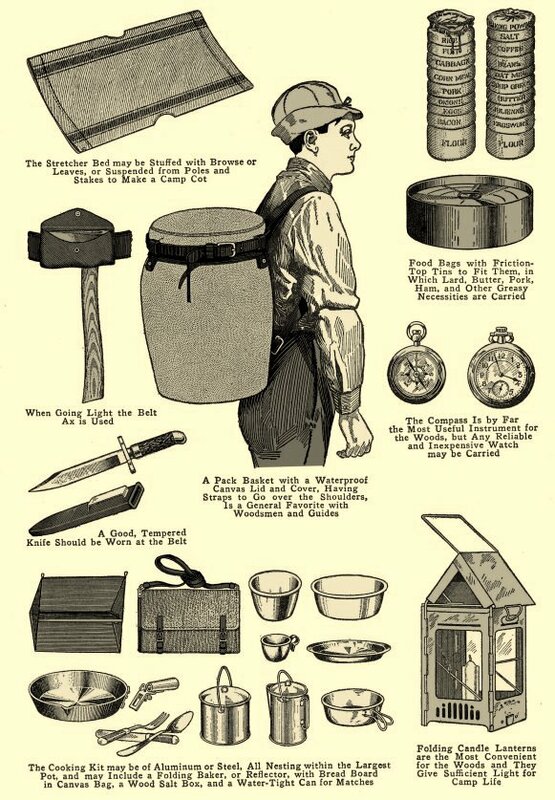 Early illustration of the Stonebridge Lantern (bottom right) in this collection of items to be included in the camp kit. 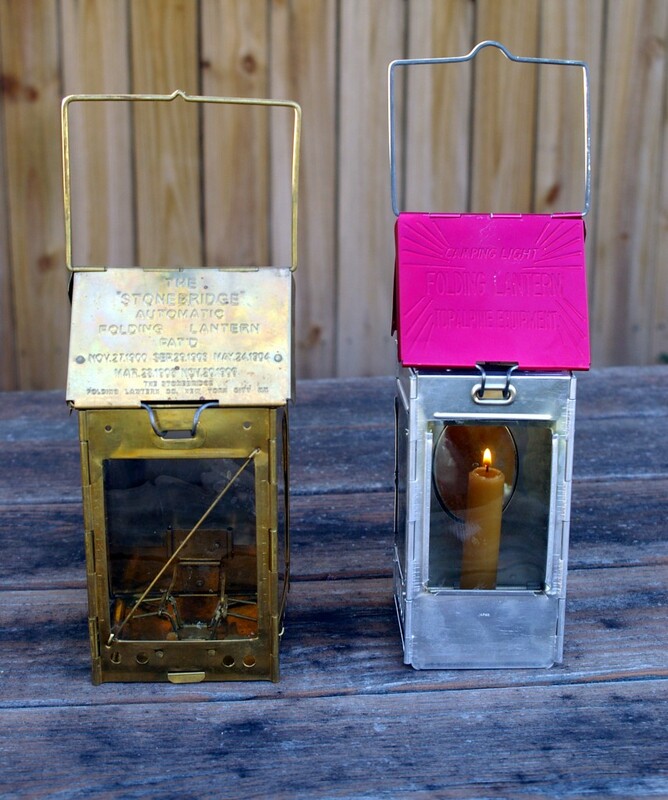 Stonebridge lanterns were produced in galvanized steel, solid brass and aluminum. Woodcraft author Stewart Edward White highly recommended the galvanized model while author Horace Kephart recommended the brass version. Aluminum models were generally not recommended as the aluminum of the day was very soft and could not take the abuses of camping without soon being bent out of shape. 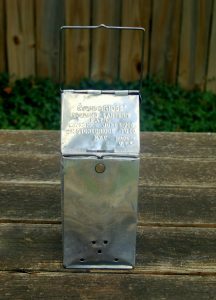 Interestingly, Kephart’s own surviving lantern is an aluminum model. The Stonebridge was an ingenious, feature-packed lantern. It had a flat, internal wind shield located beneath the peaked “roof” of the lantern. 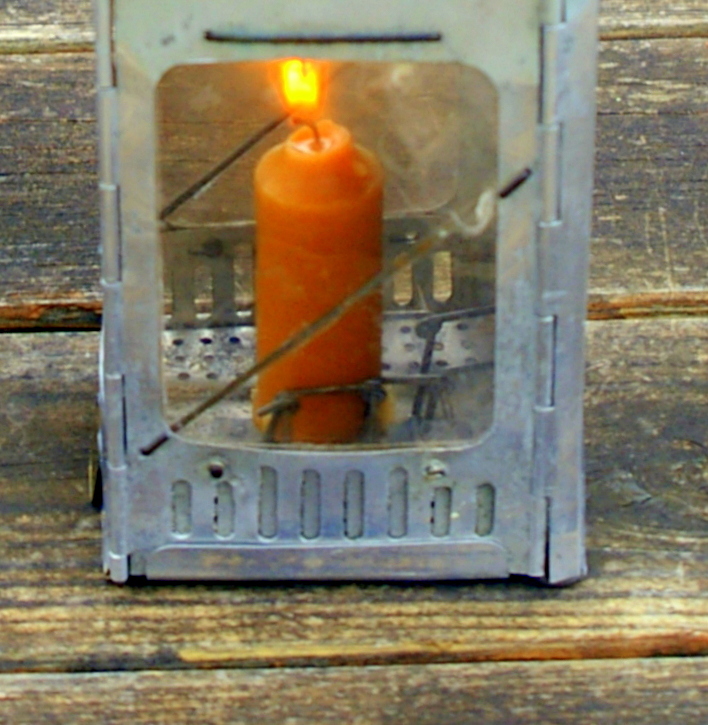 The wind shield, designed to protect the candle flame in high wind, contained an opening for smoke to exit the lantern. The lantern windows were made of isinglass (thin sheets of mica), a material that is transparent rather than crystal clear. Isinglass is somewhat flexible and more resistant to breakage than glass sheet but pressing on it too hard leaves whitish, cloudy spots that cannot be repaired. Isinglass is remarkably durable. Surviving Stonebridge lanterns manufactured more than 100 years ago are regularly found with the isinglass windows fully intact. However, the method used by Stonebridge to install the isinglass makes it nearly impossible to replace a window if damaged or missing. The lantern also featured adjustable air vents that regulated the amount of air entering the lantern. The floor of the Stonebridge featured a self-adjusting flexible wire candle holder and 6 rows of small round vent holes to admit air and allow for drainage if water were to enter the lantern. 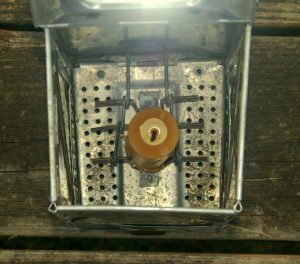 These vent holes are a bit of a nuisance as melted candle wax can (and occasionally does) drip out of them when the lantern is in use. The lantern back was of a solid sheet that featured a brass rimmed port to allow the lantern to be hung on a nail. It also featured a wire bail from which the lantern could be carried or suspended. Of course, the most important feature was its ability to collapse into a flat, rectangular box that took up little space in the crate, pack or warbag. 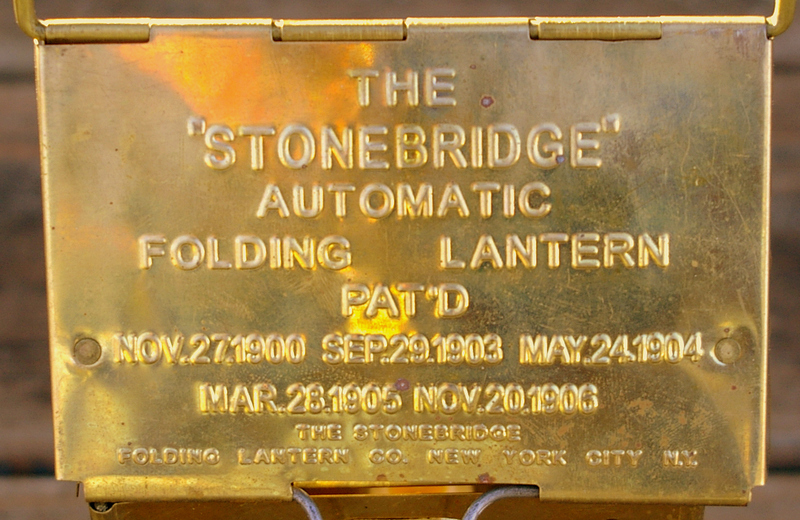 Dimensions of the Stonebridge lantern are: Folded: 4 1/8” x 7” x 1 /2”. Unfolded: 4 1/8” wide, 4 /2” deep, 10” high to the top of the peak of the “roof” and 14” including the extended wire bail. 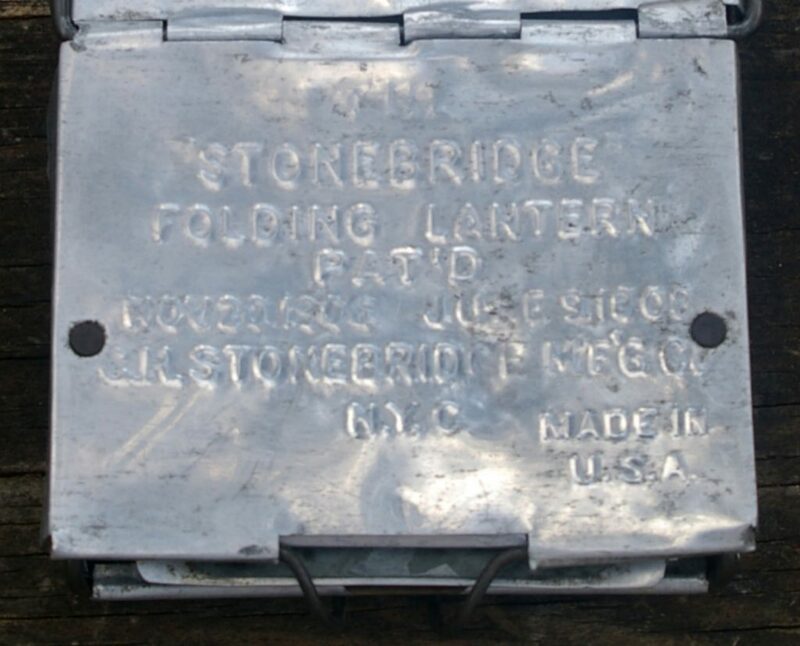 The Stonebridge lantern was such an important part of camping for so long, when America entered the modern lightweight backpacking age, one of the most popular candle lanterns turned out to be a Japanese copy of the Stonebridge in aluminum alloy. 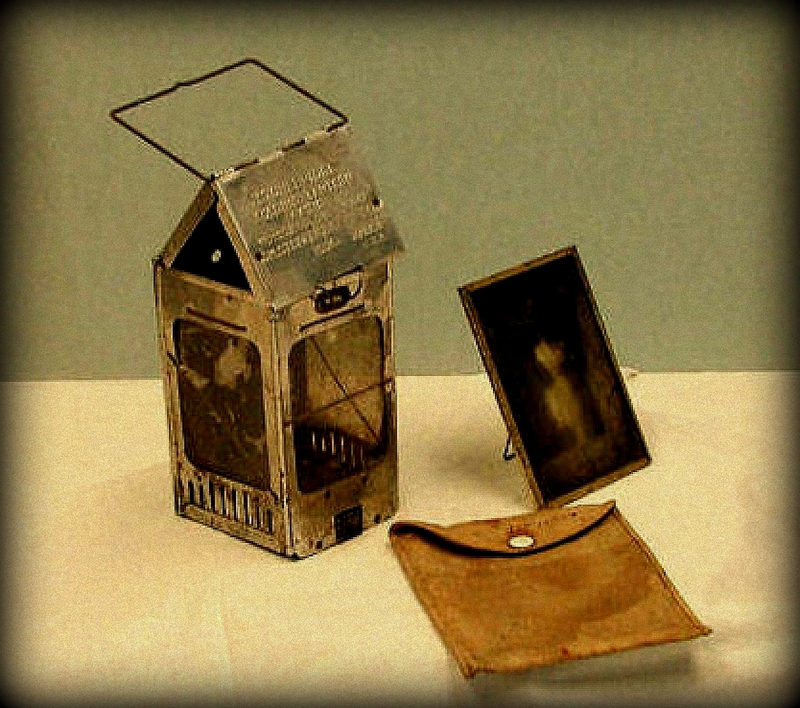 I owned one of these lantern back then but at the time did not know of it’s historical connection. If you would like to see the Japanese copy in 1970’s action, I recommend you check out the “Backpacker & Hiker’s Handbook” by William Kemsley Jr. (Stackpole Books, 2008). Kemsley was the founder of Backpacker Magazine and the book is chock full of 1970’s hiking photos, many of which show this interesting lantern. Because I consider the Stonebridge lantern to be so quintessential to a traditional camp it was the very first item I purchased when beginning to assemble my woodcraft camp kit. Rather than choosing an original, I chose a rustproof solid brass replica from Lee Valley Tools of Ogdensburg, NY (no longer stocked). It now appears that Garrett Wade is the only firm that carries it. As the price was recently reduced, it may be that Garrett Wade plans to clear out their remaining stock. As I had not seen an actual Stonebridge lantern, I believed the replica to be exact with the exception of having differently shaped air vents. I’ve since discovered that the replica is quite different. For a start, the dimensions are not the same: The Replica Dimensions Folded: 4 3/8” x 6 1/4” x 1 /2”. Unfolded: 4 1/4” wide, 4/3/8” deep, 6 1/8” high to the top of the peak of the “roof” and 12” including the extended wire bail. 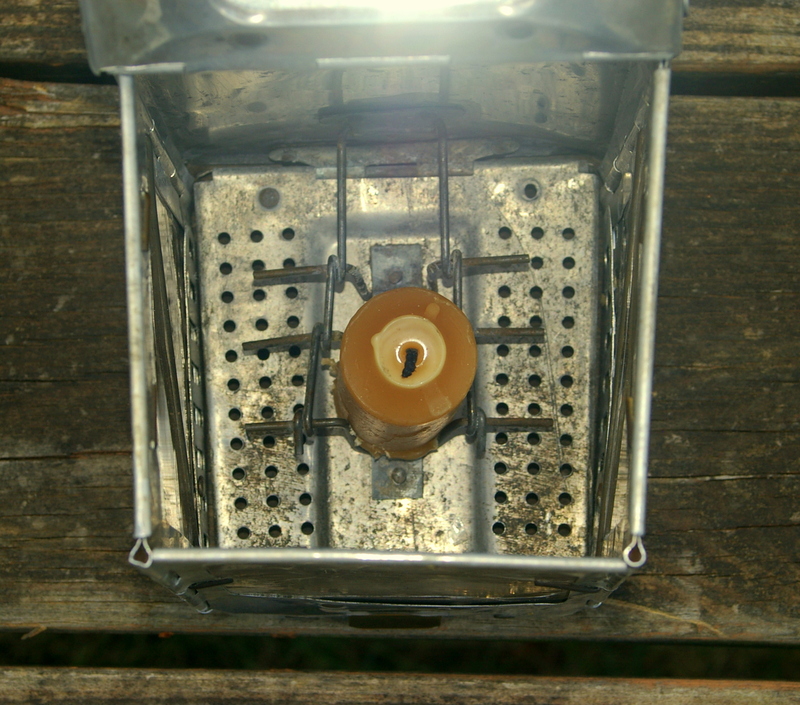 Second, the stampings on the top of the lantern have been altered. 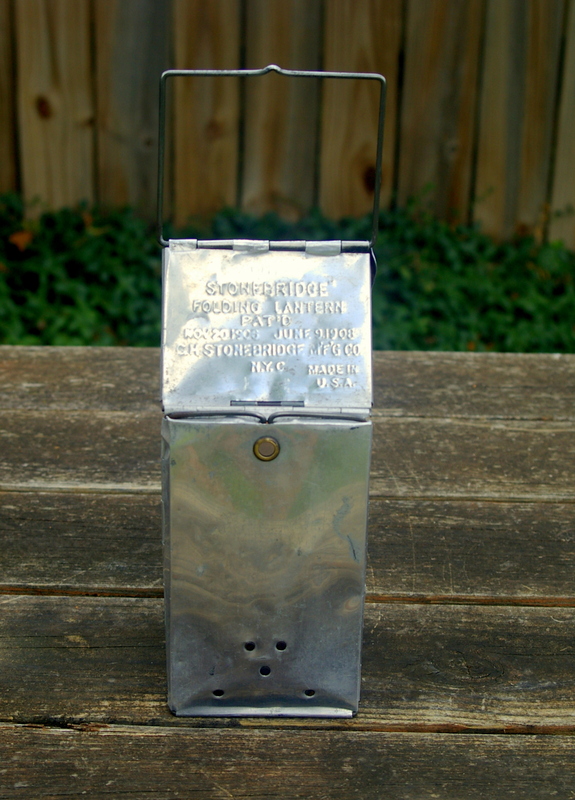 The original stamping that included the manufacturer’s name and the various patent dates, included the phrase “Made in the USA”. This is absent from the Indian-made replica. The vent holes are also different, not only in shape (round holes instead of vertical slots) but they are not adjustable. The floor of the replica is of solid brass sheet and the spring clip that releases the lantern bottom for folding is also different in looks and function. 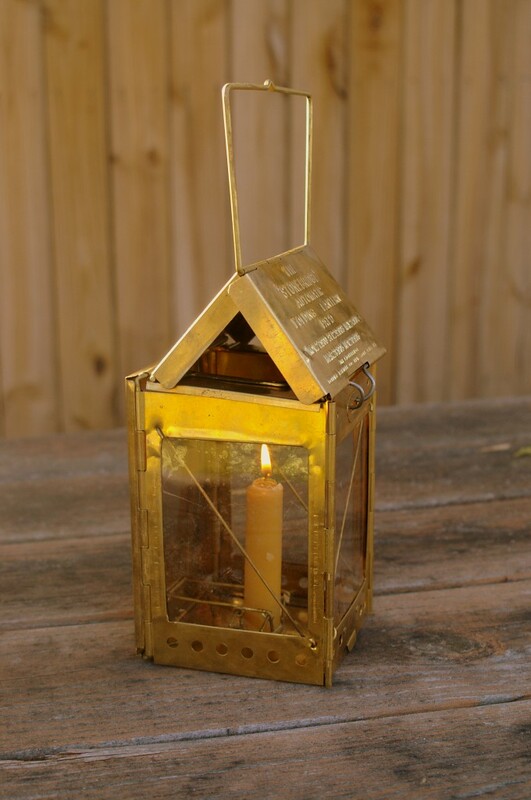 Still, despite these changes, the Stonebridge replica makes a great traditional camp lantern because it is sturdy, it is rustproof, it does not drip candle wax through the bottom, and the isinglass windows are mounted in such a that they can be replaced if need be. However, while I’ve been entirely happy with my replica, I’ve wanted a vintage Stonebridge lantern after seeing a nice original example a couple of years ago. 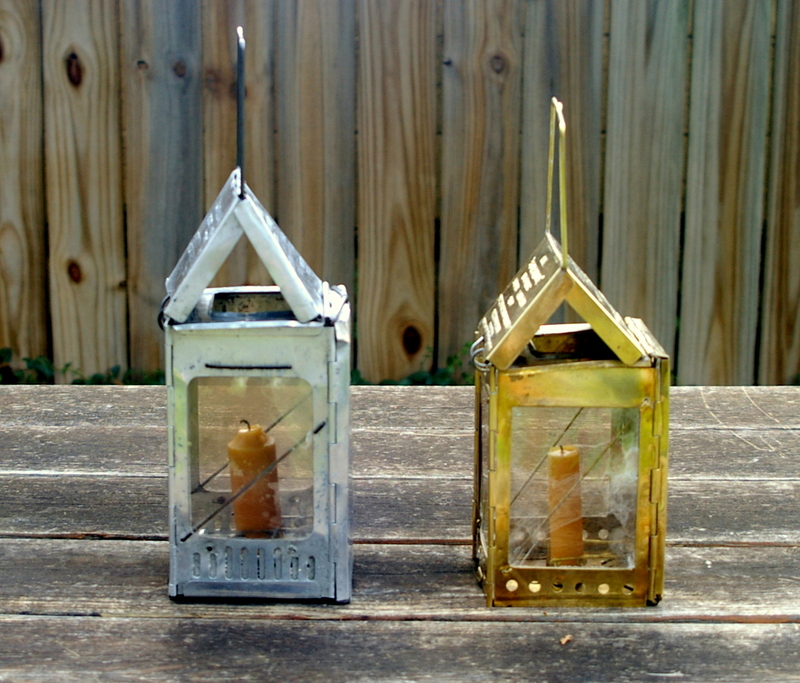 Because galvanized steel versions made up the bulk of the company’s lantern production, nice originals often come up for sale on eBay, priced around $50-$100.00. Brass models must have been made in very small numbers as I’ve yet to see one. Aluminum models are only slightly less rare. In ten years, I’ve only seen two. The first one was out of my reach and the next one I bought. It’s just like Horace Kephart’s personal lantern! My example is in good condition considering it is aluminum. I can attest to the fact that the aluminum lanterns are very soft indeed. It is difficult to fold and unfold the thing without bending it out of shape. 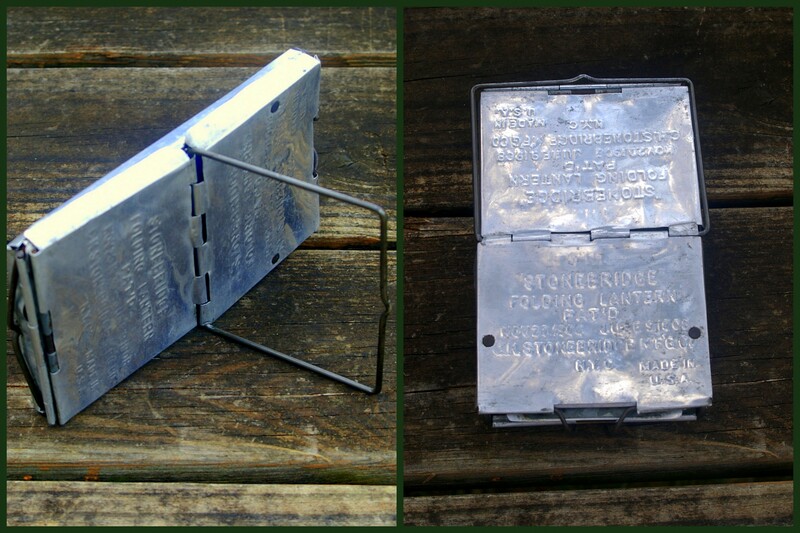 In addition, the various components of original Stonebridge lanterns where held together with tiny steel rivets. The aluminum sheet is so soft, that with even moderate use, the large end of these rivets can wallow out the hole they are in, causing them to fall out, particularly those that hold the air vent adjustment. In fact, the aluminum lanterns are so soft, if I were packing one for camp, I would put it in a sturdy, rigid cardboard box for protection. 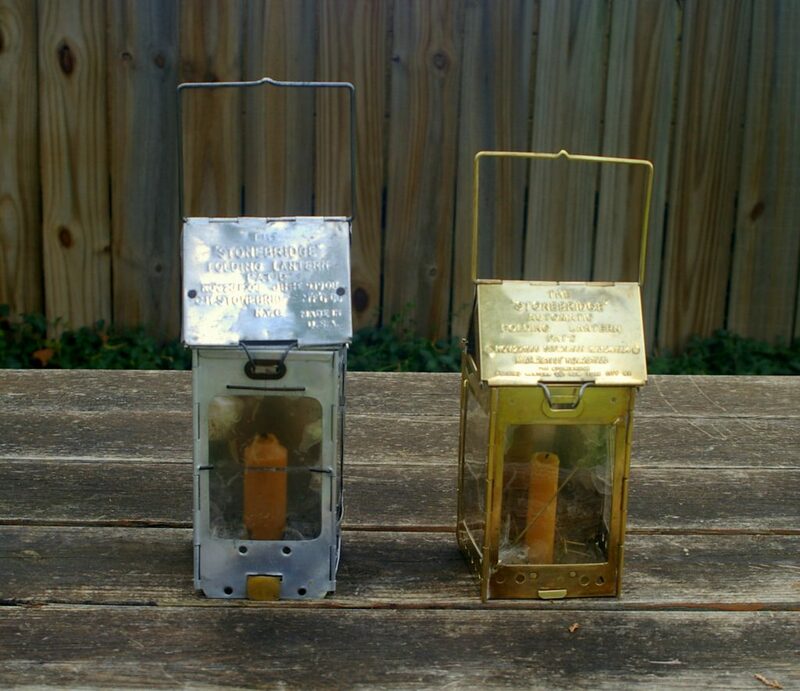 Since I can use my sturdy brass reproduction for camping, I may simply display this Kephart lantern clone. 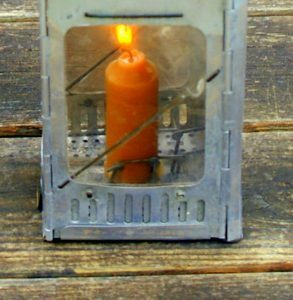 If you desire an authentic camping light from the woodcraft period, you simply must add a Stonebridge Automatic Folding Candle Lantern to your camp kit. I recently taught a wilderness survival clinic at Backwoods, our local outdoor shop, and spent quite some time discussing edged tools. While teaching the clinic I became aware that most of the folks in attendance knew little of how to choose an outdoor knife, despite most having some experience as campers and backpackers. I believe that this is an important thing to know! A knife is the lightest and most compact of the edged tools and is most likely to be carried today. Although modern campers and backpackers rarely use them, knives continue to be carried because it’s expected. You will never become knowledgeable about or proficient with knives if you don’t actually use them. Sadly, I recently had a Scout leader tell me that in seven years of camping he could not remember ever using his knife. If our outdoor leaders don’t know how to select, use and maintain an outdoor knife, there is no hope for this skill set to be handed down to our children. However, there are two groups of outdoor enthusiasts who use knives ~ hunters and survivalists. As hunters use a knife for skinning, they generally look for a particular shape but beyond that it’s all a matter of personal preference. For survivalists however, there is a wide range of opinion over what makes the best knife – in shape, size, blade grind, blade thickness, and overall style. While it is agreed that in a survival situation a knife is indispensable, the type of knife most useful is hotly debated and the choices are now overwhelming. 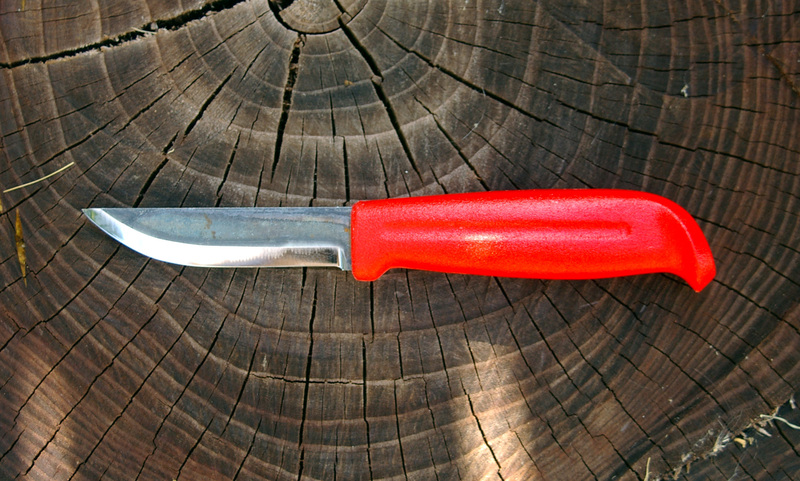 Some survival books recommend nothing more than a small pocket knife while others recommend near-machetes and sadly, most are not functional outdoor knives. The best knife for camp use is an all-purpose type, rather than a hunting or paramilitary “survival” knife. Modern hunting and survival knives feature blades that are too thick and unwieldy for most camp chores. You want something unobtrusive, light and so useful it will never be left at home. The vast majority of campers choose pocketknives for just that reason, but fixed-blade knives are much stronger and more reliable, making them a better choice for survival use. Fixed-blade knives are usually less expensive than a pocketknife of equal size and quality and are safer to use because they cannot fold unexpectedly. a. A blade thickness of between 3/32” to 1/8” more or less, where the blade enters the handle. b. A blade length of 3½” to 4.5” or about the width of your open palm. This range offers a good length for general camp use or for any survival tasks that may be encountered. In a survival situation, such a blade is short enough to handle fine detail work such as trap or snare building, yet is long enough to be used to cut down small saplings for shelter building. c. A traditional blade silhouette. Exotic shapes should be avoided. The blade should be straight and flat for most of its length, so that the knife can be struck with a “baton” (a heavy stick used as a hammer) in order to drive the blade through thick wood. d. A non- serrated edge. Serrations are typically located on the part of the blade most often used for fine craftwork. Serrations also cannot be resharpened without specialized sharpening devices. e. A minimum finger guard at most. Although finger guards make a knife safer in the hands of a novice, they interfere with the fine craftwork often required in survival (making snares and triggers, for example). A very small, lower guard is acceptable, but an upper guard will seriously interfere with one’s forefinger and thumb placement on top of the blade for delicate control. f. A handle that is sized proportionally to the hand, so that it may be securely and comfortably gripped. A knife is only as good as the steel that it’s crafted from. The harder the steel, the longer the edge will stay sharp, but the more brittle the blade becomes. The standard measure of steel hardness is the Rockwell Scale. Good blade steels should test in the Rockwell range of between 56-60. Below this, the knife will not hold an edge. Above it, the knife will be difficult to sharpen and may become too brittle to be durable. Because edge holding ability and ease of sharpening are competing properties, a steel that possesses a balance of these two characteristics is considered excellent. Both are good. Stainless (non-rusting) steels are now the most popular and widely available but those alloys with a high-carbon content are hard enough to hold an edge. Good stainless alloys include 440C, AUS-8, 154CM, ATS34, VG-10, S30V, and Sandvik 12c27. Note that the tradeoff for rust resistance is difficulty in sharpening due to their hardness. Carbon steel continues to be popular because it can be quickly sharpened in the field, has good edge holding ability and can be struck with a flint to create a fire igniting spark ~ something that cannot be done with stainless. Although carbon steel can rust if not cared for, you can easily avoid rust if you learn how. An occasional oil and wax treatment will protect the blade (note that carbon steels will darken and discolor with use). Blade grind is the single most important characteristic that determines whether a knife can be considered a wilderness blade or not. The grind is the shape of the knife blade seen in profile. Any good knife will work as a general camp knife for tasks such as cutting cord, food prep or spreading peanut butter. However, in order to be considered a survival tool, a knife must be capable of shaving wood (for making fuzz sticks or carving snare triggers and the like). And this ability is dependent upon the grind. Some blade grinds will gouge wood unless care is taken to maintain the proper angle throughout the cut while others effortlessly lift the wood being removed up and away from the surface, creating curly shavings. Hollow: Was originally used for making straight razors but now is the most common grind used on sporting knives. Pros: Produces an exceedingly sharp edge, ideal for dressing game. The concave profile of the blade produces very light blades because of the metal removed from the sides of the blade. Cons: Even the best are not good for food prep because this grind doesn’t penetrate the food very far before becoming too thick to slice well. The concave profile results in a blade that’s not as strong as other grinds. Can gouge wood if the user does not take care to maintain the correct angle. Flat: The type of grind used on kitchen knives. Pros: Is superb for food prep, slices very well. Makes for very good mass-produced knives. Is easy to sharpen. Is strong because the blade retains most of its thickness all the way to the edge. Cons: Can gouge wood if the user does not take care to maintain the correct angle. Scandinavian: The Scandinavian Grind is easy to identify because of wide (¼” – ½”) single bevel. Turn the blade on its side and you’ll see that it looks like a wood plane and in fact, it works just like a wood plane. Because of this, the grind outperforms all others for wood work. One reason is because the width of the bevel can be used to control the depth of a cut. For example, when carving a feather stick to ignite a fire, you simply hold the bevel flat against the wood and push in (holding other knives consistently at the proper bevel to make super thin shavings is virtually impossible). Unlike most knives, the Scandinavian grind usually lacks a secondary bevel (“V” grind edge bevel). An exception is Finnish knives. A Scandinavian grind with no secondary bevel is sharper than one without but has a less durable edge. A secondary bevel not only strengthens the edge but produces an edge that requires sharpening less often. Still, some folks prefer a Scandinavian grind with no secondary bevel because it’s sharper. Pros: Produces a very keen edge. Can be found on astonishingly inexpensive knives. The Scandinavian grind excels at shaving wood without gouging. Moderately good for food prep. Cons: Sharpening is easy but takes longer than any other type. You cannot sharpen such a knife without scratching the surface of the blade and it takes time to remove these scratches. Convex: The way most knives were made until mass-production was introduced in the early 20th Century. Requires skilled craftsmen to produce. The entire edge of a knife may be convexed (known as a full convex grind or an “apple seed” grind) or the edge of a flat, hollow, or Scandinavian ground blade may be convexed. Pros: Good for food prep. Very easy to sharpen. Maintains its edge longer than any other grind. Over the life of the knife, as the blade is repeatedly sharpened, metal is removed from the sides of the blade as well as the edge. This maintains the same relationship of the edge to the thickness of the blade, and ensures that the edge will cut as well after decades of use, as it did when new. Actually, a convex ground blade may NEVER need resharpening if it’s touched up regularly by stropping on a piece of leather, cardboard or the leg of your jeans. A full convexed blade is the strongest of all grinds because of its thickness. This grind makes a relatively thick blade slice and cut as well as a thin blade – provided the edge geometry is good. Cons: Relatively hard to find unless you buy from specialty firms. A fully convexed blade is heavier than the other grinds. The handcrafted nature of this grind means that only relatively expensive knives feature it. Good for shaving wood without gouging. The convex grind splits wood apart like an axe rather than lift wood like a wood plane. The grind doesn’t quite match the performance of a Scandinavian grind but the difference between the two is slight. “V” grind: In addition to a primary grind (flat or hollow for example); knives often feature a “V” grind edge bevel or a secondary bevel at the very edge. This “V” grind is what does the cutting, and what must be recreated when sharpening. When someone says that a knife should be sharpened with a 20° bevel, they’re referring to the “V” grind. As the “V” grind is repeatedly sharpened, and more metal is removed from the edge of the blade, the edge becomes wider and more stunted, meaning that the blade does not cut as well after sharpening as it did when new. This will happen with both flat and hollow grind knives given enough time. If all this is overwhelming, just remember that the Scandinavian grind and the convex grind are the best types for outdoor/survival use. Scandinavian knives are descended from the blades of Vikings, and though they were first developed over 1000 years ago, most modern examples differ little from their ancestors. Scandinavia, that region consisting of the countries Denmark, Finland, Norway, and Sweden and the Provincial and cultural areas of Swedish and Finnish Lapland, make knives that are distinct and unique from edged tools found anywhere else in the world. All Scandinavian knives share notable characteristics such as the unusual grind, relatively short blades, minimal finger guards (if any at all), high quality steels and a razor edge. Sweden is known for producing well made but inexpensive knives “Mora” knives. The town of Mora has been home to knifemaking for centuries. K. J. Eriksson and Erik Frost, the last two Mora knifemakers, were combined a couple of years ago and now make knives under the “Mora of Sweden” name. Since the merger, the firm has since introduced several bushcraft models that are better than either company produced before. There are a handful of small Swedish companies that also make similar knives but these are a notch more expensive, falling in the $50.00 to $80.00 range. Finnish factories make knives in all ranges up to some that sell for over $300.00. Norway is home to two companies that make superb mid-priced knives ($75.00-$150.00). There are no knife factories in Denmark but a number of custom makers produce beautiful, expensive knives. Scandinavians use their knives, and recognize that the most important feature of a knife is the blade ~ its quality of steel, its design, its edge-holding ability, and its sharpness out of the box. Everything else ~ overall design; handle materials, fancy embellishments, are all secondary to the blade. This demand for truly fine blades, in both inexpensive and costly knives, means that you’ll find very high blade quality among all Nordic knife brands and makers. Most Scandinavian makers offer a line of unadorned, utilitarian knives with a blade as hard and sharp as their most expensive models, meaning that you can own a superb blade for an astonishingly low price. These markedly similar Nordic knives span 1100 years! Top: Replica Viking knife circa 850 A.D. produced for the Univ. of Oslo, Museum of National Antiquities by Helle (A/S Helle Fabrikker). Bottom: Modern knife made by Karesuando Kniven AB. This model is the Raven (Fox) Special. Ahti(utility models) and Karesuando Kniven; Kellam (“S” series utility models are inexpensive and very good), J. Marttiini and Mora of Sweden all make very good “working” knives. Mora of Sweden stands out as offering the widest selection of high-quality, inexpensive utility knives appropriate for wilderness use. Since the merger that created Mora of Sweden, the firm has introduced several bushcraft models that are better than either Frost’s or Eriksson’s produced before. 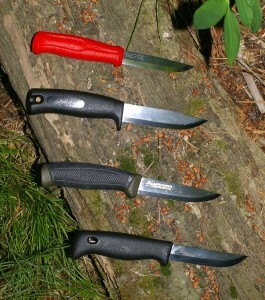 The new models can be found in their Adventure line and are part of the Bushcraft series of knives. The various models include the Bushcraft, Survival, Forest, and Forest Camo. Helle is another maker of beautiful, functional outdoor knives but their craftsmanship and finishing make them more expensive than the utility models. If you asked me to provide an example of the high performance/low cost knives produced in the region, I would show you the excellent J. Marttiini M-571 utility/work knife. The M-571 features a razor sharp, forged, 3½ inch carbon steel blade mounted in a red plastic handle. It is an exceedingly sharp and dependable knife that retails for only $20.00! Note: a recent web search (November 2012) for the M-571 indicates that it may no longer be availalable. Still, I am leaving the comments here as an example of this kind of knife. The Marttiini Model M-571. A great survival knife. Examples of inexpensive Scandinavian knives suitable for wilderness use. Two reputable online suppliers specializing in Nordic knives are Ragnar’s Ragweed Forge and Kellam Knives. Also note that the Backwoods chain of outdoor shops recently began stocking the Helle line of knives. The brand is NOT listed on the company website but the shops have had them for several months. I can report that the line has already sold through at least once at my local shop and customers have been impressed with the look and quality of the knives. It remains to be seen if modern backpackers will choose a fixed-blade knife as a regular item in their kit. Let’s hope so! Helle is perhaps the best brand to appeal to a customer base unfamiliar with Scandinavian fixed-blade knives. Helle knives feature fine craftsmanship, are the most beautiful knives in the Backwoods knife cabinet, are surprisingly light compared to other fixed-blade knives (as are most Scandinavian knives) and many models feature stainless steel blades, something that appeals to folks fearful of purchasing a knife that may rust in outdoor use (not a worry at all if you know how to care for edged tools). Knives with convex ground blades also make excellent wilderness knives. They don’t quite match the wood shaving ability of Scandinavian knives but in other respects are superior. Their edge is easier to sharpen, the blade is stronger, and the edge more durable, lasting longer between sharpenings. The downside is that because the convex grind can only be made by hand, they are more expensive and they’re heavier because less metal is removed from the blade. For those interested in owning a traditional American sporting knife, only a convexed knife will do. The brand historically associated with the convex grind is Marble’s Arms of Gladstone, Michigan. Webster Marble (1854-1930) introduced America’s first outdoor sporting knife when he created the Ideal hunting knife in 1898. Before its development, outdoorsmen usually carried kitchen knives or homemade knives. The Ideal was entirely new and different. The spine of its stout blade was just over 3/16” thick and featured a fuller (a wide, shallow groove running the length of the blade) designed to lower the weight of the knife without losing blade strength. The Ideal’s appearance ~ the blade shape, brass guard, handle of stacked leather rings, terminating in a pommel of stag or aluminum, was widely copied and influenced the look of American outdoor knives for decades after. The handle design continues to be used today by the Randall Knife Company, makers of expensive semi-custom knives. The Ideal was almost directly copied in beefier form, by the Union Cutlery Company to produce the famous Ka-bar U.S.M.C. Fighting/Utility Knife of World War II (a lower grade knife than the Ideal). Responding to complaints that the Ideal was too thick and stout for some tastes, Marble introduced a thin bladed, lightweight version of the Ideal in 1906. He named it the Expert as he personally believed that it was too delicate to be trusted except in the hands of an expert! In 1915, the company unveiled the Woodcraft, another thin bladed knife that became the bestselling model in the firm’s history. The Woodcraft was copied by nearly every competitor, including a number of European makers, wanting to cash in on its popularity. It was also adopted as the official knife of the Boy and Girl Scouts. Outdoor writers and experts of the day endorsed the Expert and Woodcraft more than any model or brand of cutlery. The Expert was first recommended by E. H. Kreps in 1910 and last, by Calvin Rutstrum in 1968. The Woodcraft was even more popular. 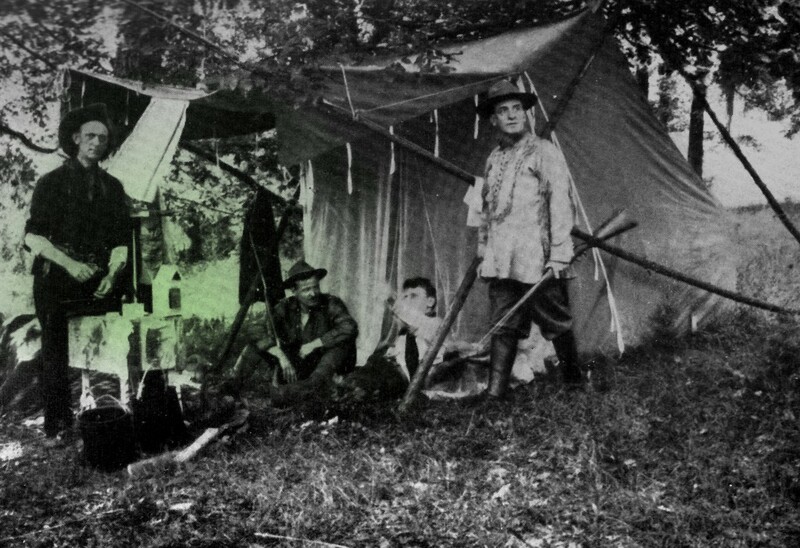 Horace Kephart was the first to recommend it in “Camping and Woodcraft” (1917). The knife section of Bernard S. Mason’s “Junior Book of Camping and Woodcraft” (1943) illustrated all three models of Marble’s knives, noting that the Expert was what “wise old campers” recommended and that the Woodcraft was both thin and sturdy, making it an excellent camp knife. 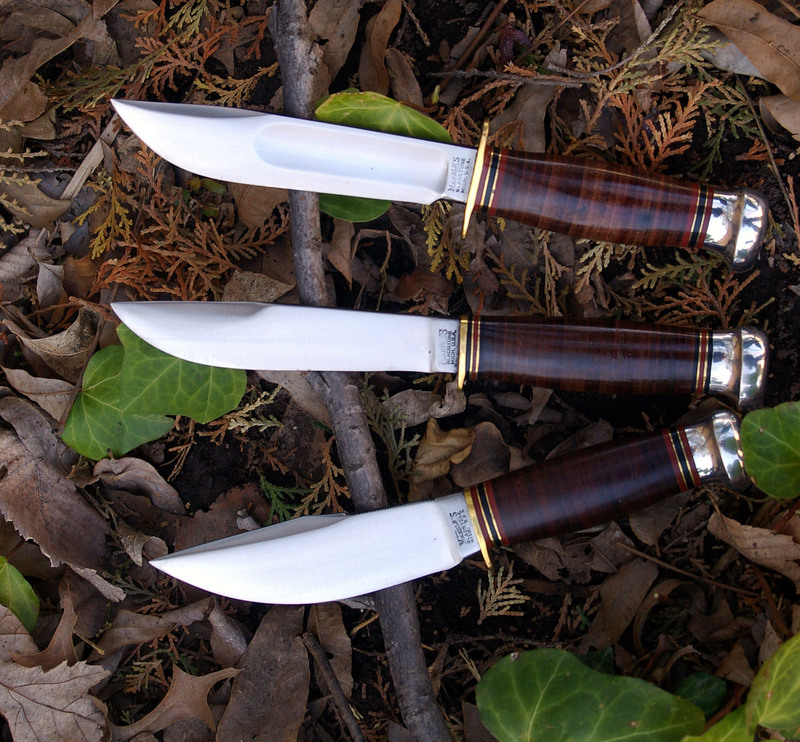 Marble’s sporting knives (top to bottom): The Ideal (1898), Expert (1906), and Woodcraft (1915) ~ The most recommended outdoor knives of the first half of the twentieth century. Sadly, the Marble’s cutlery division was acquired by a new owner a few years ago and was recently forced into bankruptcy due to decisions such as subcontracting much of the manufacturing to other companies and introducing a line of cheap Asian-made knives, choices that tarnished the brand’s reputation. Note that the Marble’s knives produced between 1994 through 2001 are perhaps the best the company has ever produced and knives made up through 2005 are good as well. Today, the firm producing the most extensive line of convex ground knives is Bark River Knives of Escanaba, Michigan. Bark River is owned and operated by Mike Stewart, the former director of Marble’s cutlery division. Bark River’s popularity stems in part from the fact that Stewart is willing to make specialty models requested by collectors and for producing updated versions of historic knife patterns not found anywhere else. They are also willing to restore old knives and axes made by other companies (when time allows). 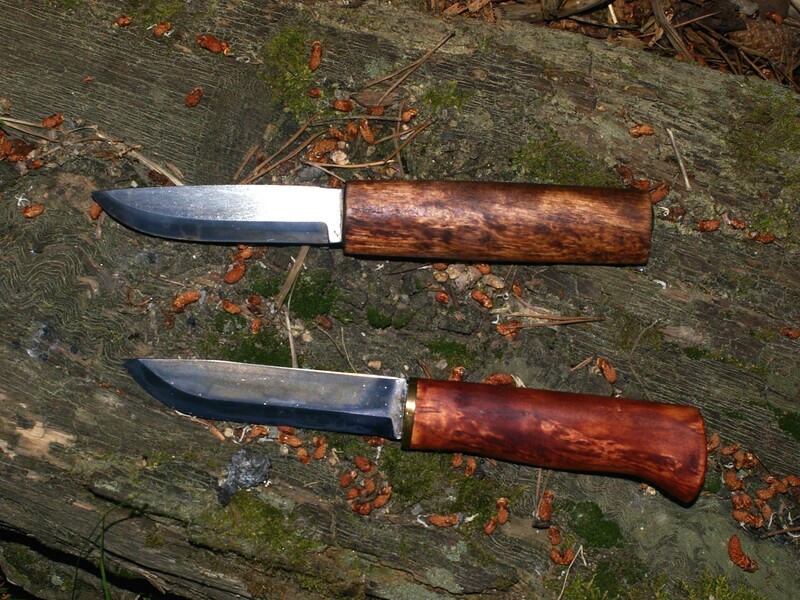 Bark River makes a number of survival/bushcraft models: the Aurora and Northstar models. Interestingly, Bark River has added the Bushcrafter and Liten Bror models that feature Scandinavian grinds. All of these make excellent wilderness knives. Bark River will often produce a models for only one or two production runs and then drop it from the line. One of my favorite wilderness knives, the Kephart, was such a knife. 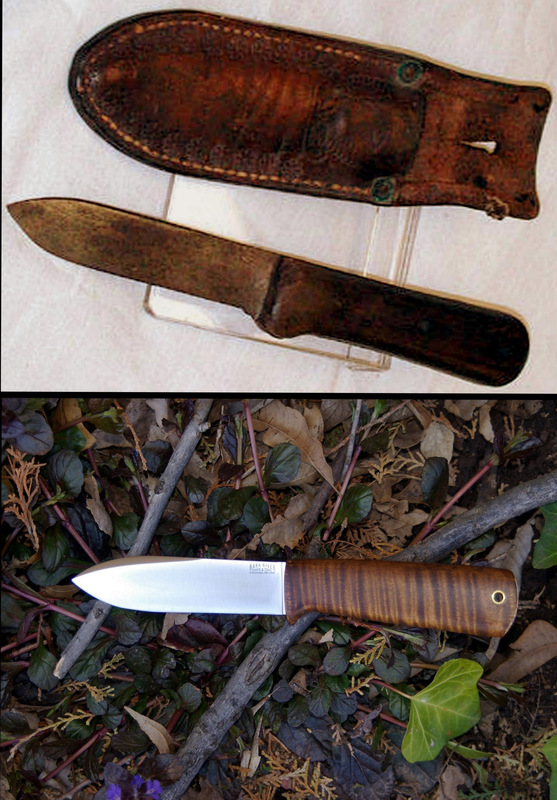 The Kephart replicated an old knife made by the Colclesser Brothers and designed by famed woodcrafter Horace Kephart. Two makers continue to offer the Kephart – Gossman Knives and ML Knives. Although the Kephart never gained the popularity of the Marble’s Woodcraft, it was actually a far better survival and woodcraft knife. Top: Original “Kephart” knife (circa 1908-1920) by the Colclesser Bros. Cutlery Company of Eldorado, Bucks County, Pennsylvania. Designed and recommended by famous outdoor writer Horace Kephart. Bottom: The “Kephart” by Bark River Knives. This version, no longer produced, featured a 4 3/8″ convexed blade of 12C27 Sandvik stainless steel. Pocket knives are great for delicate cutting chores. The most popular types today are lightweight folding lockbacks, multi-tools, and Swiss Army knives. However, I prefer traditional slip joint pocket knives, the kind your grandfather carried. The best slip joints are those made for the collector market. These are of domestic construction, are limited to low production runs where much more time is taken in their manufacture, and typically use expensive handle materials. Collector knives start at around $60.00 but can go for well over $100.00. 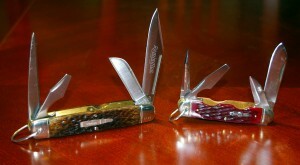 Only four or five American factories now produce collector quality pocket knives (under their own and other companies’ brand names). As with other American-made products, slip joint makers are facing increasing competition from Asian-made products, a situation that claimed Schrade Cutlery (1904-2004), Camillus Cutlery (1902-2007) and Canal Street Cutlery (2006-2015). The Schrade and Camillus brands are back on the market but are now made in China and have no relation to the original firms. I prefer American-made knives and don’t like to see the decline of a brand, whether in image or quality, when made offshore. Yet, as in most things, there are always exceptions. The Chinese-made Rough Rider brand (an import of the Smoky Mountain Knife Works company), has impressed a fair number of knowledgeable American knife buyers who’ve grudgingly had to admit that their fit and finish and overall quality is in many ways, as good or better that some American-made knives. I’ve heard some reports that some examples have had weak backsprings and were not delivered particularly sharp but I own two Rough Rider knives and both had “nail breaker” backsprings and were delivered exceedingly sharp. The fit and finish of the Rough Rider line is not equal to the best American-made knives, but the cost tradeoff is something to consider. A Queen two-blade trapper with jigged “Stag” bone handle runs around $55.00, the same pattern by Case averages $45.00 while a Rough Rider sells for about $16.00! American manufacturers can hardly compete with these prices. What to do? If you want the best knife, buy an American-made Queen, Great Eastern Cutlery, or Case, but if you want a user you’d not be worried about losing, consider a Rough Rider. Slip joint knives are made in many different patterns ~ Scout/camp/utility; trapper; swell-end; canoe; muskrat; moose; whittler; and jack; and any of these will do though I prefer the pattern most associated with the outdoors ~ the Scout/camp knife. The utility pattern knife is now commonly called a “Scout” or “camp” pattern because of its long association with the Boy Scouts of America. The BSA first sold an “officially approved” Scout/camp pattern knife in 1911 and has included one or more versions in their catalog until Camillus, their primary maker, closed their doors. New models are now being listed, maker unknown. W. R. Case & Sons produces a line of officially licensed BSA collector quality slip joints that includes a small Scout knife (Jr. Scout) in addition to other standard patterns. In 2009, Remington began a five year program of reproducing a historic Boy Scouts of America scout pattern knife every year. The 2009 knife was a reproduction of the Remington model RS3333, first introduced in 1923. A new model has been introduced ever since. Remington has not actually produced knives in decades. 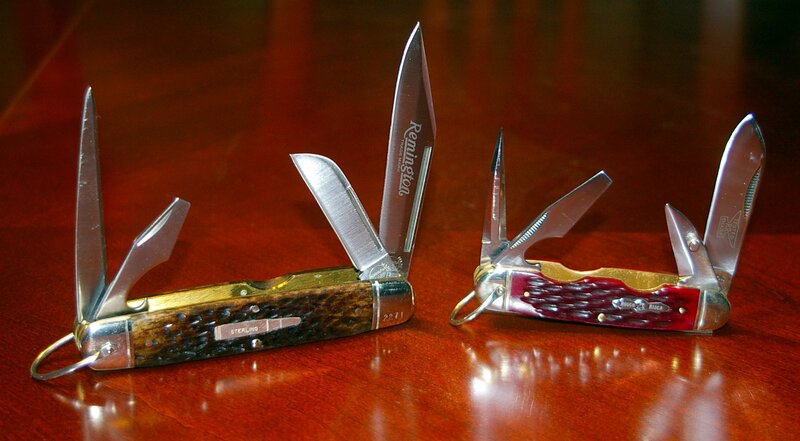 Until their demise, the Remington Bullet Knife line of collector knives were made by Camillus. These new Boy Scout knives are made in the USA by Bear and Son Cutlery of Jacksonville, Alabama. In addition to these, there are a number of high quality Scout/camp pattern knives (without BSA markings) produced occasionally by Case, Queen Cutlery (their Schatt and Morgan brand) and Rough Rider. The Rough Rider Camp knife sells for an average price of just $12.00 (I’ve seen them as low as $8.00) but looks as good as knives costing three times as much. The pattern is a copy of an old Case #6645R Scout knife. Like the Case, it features a spear point mainblade, a short, studded Wharncliff secondary blade, a long screwdriver/cap lifter, and an awl. The scales are of nicely jigged bone in either amber (Model RR533) or red (Model RR573). The mainblade, awl, and screwdriver/cap lifter feature decorative matchstrike nail marks. The single-beveled, double-edged awl is remarkably sharp and is the best I’ve seen on any Scout knife. Construction quality is very good, with no significant gaps observed between the liners or spacers. All blades are very tight, with no lateral play. This is not a knife for a youngster as it is far too sharp to be used by a beginner. Left: Remington Silver Bullet “Camp” knife, #R4243SB, a 1994 reproduction of a model produced in the 1920’s. Right: Rough Rider “Camp Knife” #RR533. The only issue I’ve had with Rough Rider Camp knives is that the blades on my two examples were nearly impossible to open. One reason of course is Rough Rider’s use of stout backsprings (a good characteristic in a slip joint). Another, is that the factory does not take the time to entirely clean the polishing grit from the joints and spaces. When this grit dries, it works to “cement” things together. I flushed this grit out with WD-40 oil. To do this, partially open all blades and squirt the oil on the inner and outer surfaces of the joints and the inside bottom of the knife. Work the blades back and forth several times to loosen everything up, spraying the joints again if need be. Because WD-40 doesn’t leave enough of a film to provide long lasting lubrication, oil everything again with a product such as Balistol. Then, wipe the knife down and leave it for several hours on a thickness of paper towels to allow the oil to drain out. Sometimes, when the mood strikes me, I’ll carry a folder with the blade length to do most things well ~ my Remington Silver Bullet “Camp” knife, model R4243SB, a 1994 reproduction of a model produced by the company in the 1920’s. With a closed length of 4 7/8 inches, it has the distinction of being one of the largest, if not the largest, Scout knife ever made. The “Camp” is fitted with 3 ½ inch and 2 ¼ inch, hollow ground clip point and sheepsfoot blades, a 3 inch awl, and a screwdriver/cap lifter. Blades are of 440 stainless, the bolsters of nickel silver, the bullet shield of sterling silver and the handle scales of jigged bone. Only 4000 of these knives were made. All knives feature a serial number engraved on one of the bolsters. Today, these can only be found on eBay or specialty knife websites. They have become highly collectible and correspondingly expensive, often selling for over $100.00. A regular production version (Bullet Camp knife, #R4243) is the same but features a nickel silver bullet shield and handle scales of jigged Delrin plastic. These are less expensive and are easily found on eBay (but aren’t nearly as nice). Well, that’s my take on outdoor knives. Good Luck and Great Camping! I’ve recently mentioned Horace Kephart so of course I should recommend his book “Camping and Woodcraft“. Horace Kephart was a Yale graduate, scholar and university librarian who also wrote “Our Southern Highlanders”, a popular geography and history of the southern Appalachian and Great Smoky Mountain region. He was also an authority on camping, mostly learned through many years of solitary mountain living. He was one of the best known outdoor writers of the Woodcraft period and was known as the “Dean of American Campers”. A popular knife of his design was sold under the name of the “Kephart Knife” and his recommendations of methods or equipment were highly valued. He is also recognized as a leader in the movement to establish Great Smoky Mountains National Park. 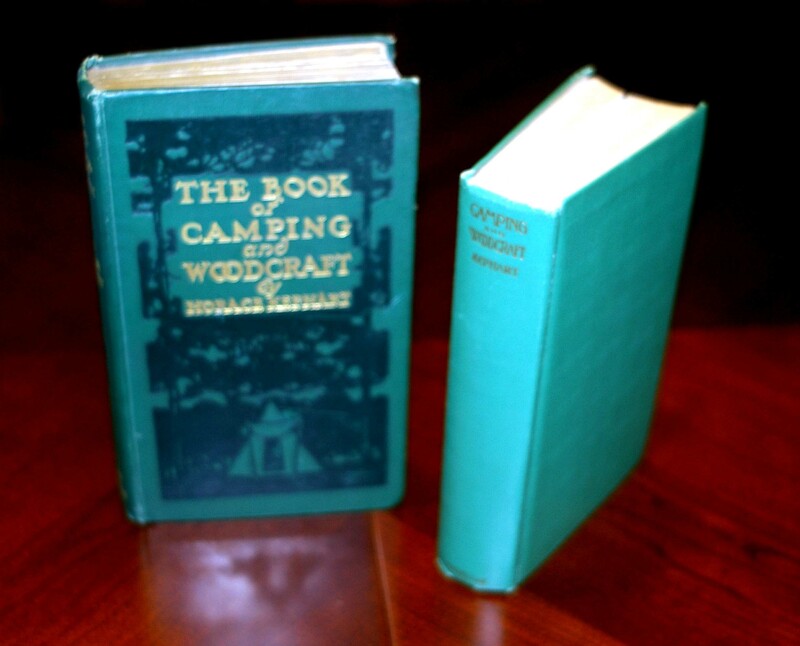 Camping & Woodcraft was first published as a single volume in 1909. By the ‘teens it had been divided into two separate volumes and then as a “two-in-one” volume by the 1940’s, which is still in print today. This a a great book and more than an introduction to old time woods skills. It is a virtual woodcraft encyclopedia. I’ve been greatly influenced by Kephart. I own a new version of the Kephart knife, a modern rendition of his tiny “pocket axe”, and am in the process of sewing up a “Royce” tent, a model that he highly recommended. The other book I want to mention is “Camping in the Old Style” by David Wescott. After reading virtually every book on camping and woodcraft published from 1877 up through the early 1940s, I’ve discovered that some speak to me more than others. You no doubt will find the same. 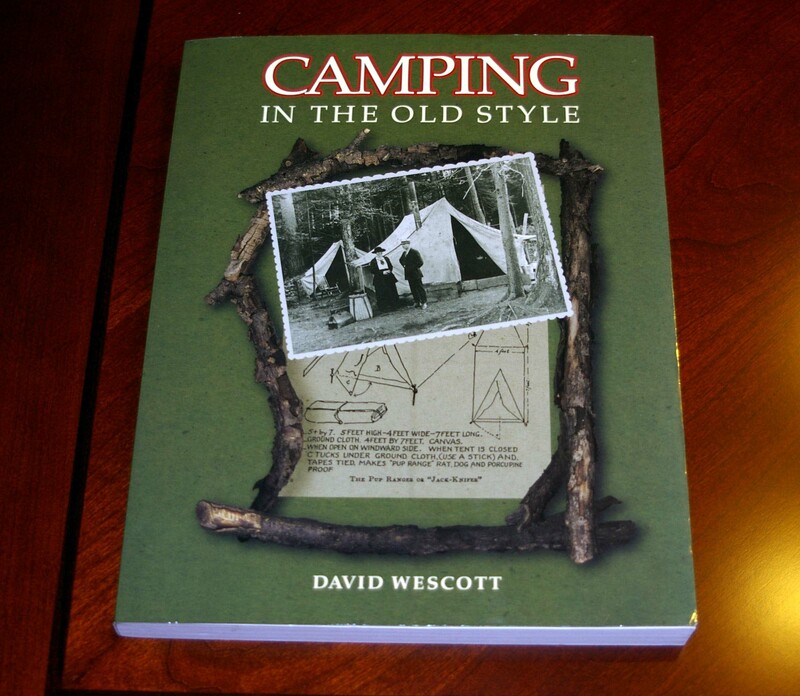 Instead of searching for all of these old books, you can simply buy Dave Wescott’s Camping in the Old Style, a compendium of the writings of all the famous old woodcrafters. “Camping In The Old Style” draws from many of the best woodcraft experts of a century ago, to cohesively incorporate their thoughts on the subjects of camp equipage, camp tools, camp cookery, camp life and all other aspects of the subject. 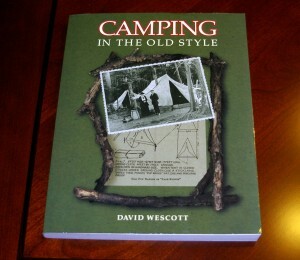 Wescott has distilled the writings of Nessmuk, Horace Kephart, Ernest Thompson Seton, Daniel Carter Beard, James Austin Wilder, E. H. Kreps, Frank Cheley, Philip Fagans, and Warren Miller into vignettes that address each category of woodcraft ~ Furnishing the Camp and Camper, The Traditional Canvas Shelter, Over the Open Fire, Life in Camp, and Life on the Trail. In addition to well-known authors such as Nessmuk and Kephart, Wescott has wisely chosen to include the writings of less familiar woodsmen who now have been largely forgotten. You can easily and quickly find what any of the old experts had to say about tentage, or pitching camp, or ax use, or dressing for the outdoors, etc. The book includes many of the original illustrations from the original books enhanced by the use of appropriate vintage photographs. What I like best about this book is that Wescott includes a woodcraft “training regimen” that he developed to provide the criteria for learning woodcraft skills. As more and more skills are mastered, the novice works up through the “ranks” of “Apprentice Camper”, “Journeyman Camper”, “Journeyman Woodsman”, and “Master Woodsman”. I am currently using this guide for my own woodcraft education. Unfortunately, Camping in the Old Style is currently out of print but is still widely available. While woodcraft does not reject technology, it also does not reject traditional ways. Writers of the woodcraft period didn’t emphasize equipment because very little specialized camping equipment existed. Instead, they described the various skills and techniques of outdoor living. If a particular technique required one to fashion or purchase some item of equipment, the old-timers would mention it, but the recommendation was nearly always secondary to describing the skill or technique. What does woodcraft “look and feel” like? Woodcraft is red and black checked woolen shirts, smoked moosehide moccasins, canvas Duluth packs, Bannock bread and flapjacks, Hudson’s Bay blankets, wooden snowshoes, sheath knives and axes. Unfortunately, woodcraft has become a long-lost art, the paradigm being entirely superseded by modern, lightweight, low-impact camping techniques. In order to learn the old skills of woodcraft, the student of today must pick it up themselves, from the how-to books, written by the old masters. The woodcraft age, which began in earnest in the 1880’s with the published writings of Nessmuk in “Forest & Stream” magazine, ended with the death of outdoor writer Calvin Rutstrum, in 1982. The last bastion of woodcraft literature, the “BSA Handbook”, began eliminating woodcraft content as early as the late 1940’s. Surprisingly, there has been a recent resurgence of interest in woodcraft. Much information about the subject is now available online and a number of original woodcraft titles are still in print (see my recommended books post). In addition, at least one outdoor school, (Jack Mountain Bushcraft) is now specializing in teaching woodcraft skills.